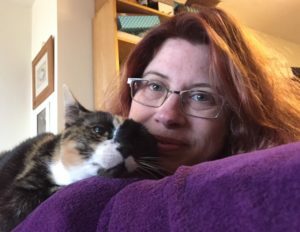 How to get (lovely) free food! Here’s our haul from Sainsbury’s yesterday – FIVE free (vegan) meals! I’m so chuffed as you may remember me mentioning last week how I didn’t really know how we were going to stretch the wages over a 5 week month. So this really helps and keeps me positive that we can get through on a tight budget. It’s really simple to use – you just buy the products you fancy that the Shopmium app lists as on offer or completely free! Then keep your receipt and follow the instructions on the app – which is to usually take a photo on your phone of the barcode on the product and a photo of your receipt. Shopmium will email you in the next few hours to tell you your refund has arrived in your Paypal account. …and VOILA – FREE food !!! Yes it does require a bit of effort but nothing in life is free….although…erm this is actually free !!! 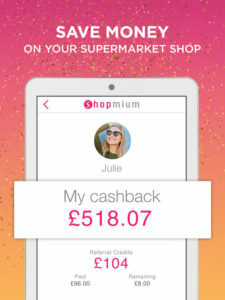 To get started, all you have to do is download the Shopmium app onto your phone here https://www.shopmium.com/uk/referral/v5d8q making sure you use my referral code v5d8q (thank you so much). They will offer you their current joining offer which is a free Nutella® jar. I know that’s not vegan but you could either give it to an omnivorous friend or relative or stick it in the food bank box at the supermarket or give it to someone less fortunate than yourself on the streets. Just make sure you take it home first as you’ll need to take a photo of the jar and your receipt to claim your cash back. The refund can then go direct to your bank account or choose your PayPal account. I’m doing the latter so I can use it as a way of saving. We got all the stuff above because three of us in our family have the app so make sure you do this too. 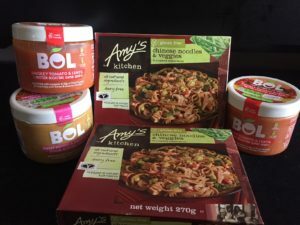 Lots of items are free on the app as the manufacturers want you to try their new products and some items give you a percentage off like the Amy’s Kitchen products – they’re currently (as of 4th May) 50% off. But you can still get stuff completely free like I have – simply by recommending friends and family to join. Once they sign up – you get £4 per person as a credit. So using the Amy’s Kitchen Noodles example – it cost me £2.50 to buy from Sainsbury’s. I automatically get my 50% back which is £1.25 then as I have £4 credit from referring my other half to join up – they then give me the other £1.25 back out of the £4 credit. Gettit? So enjoy getting food for free and this saves you money or allows you to use the money on something else! Next post: Are you dreaming of your own house?